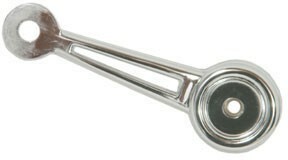 Window crank for 1968-70 Mustang. Excellent reproduction with flawless chrome. Knob not included.